Often accompanied by tinnitus, a ringing in the ear sensation, a Noise Induced Hearing Loss is permanent change in hearing due to loud ambient sounds. It has been considered one of the most common causes of an irreversible hearing deficit. Over the last few decades, hearing loss due to excessive noise exposure in young adults has increased exponentially. A recent study has shown that one in six teenagers suffer from a noise-induced hearing loss and approximately nine in ten young adults are at risk of permanent damage. In 2015, the World Health Organization reported the increasing number of people using personal audio devices and the everlasting effect that it could have on one's hearing. That in addition to the popularity of fitness classes, night clubs, music venues and sporting events, excessive noise exposure in recreational settings has become a problem for all ages. Be aware of unsafe listening levels and keep a good distance from the sound source. Limit the time spent in excessive noisy environments. 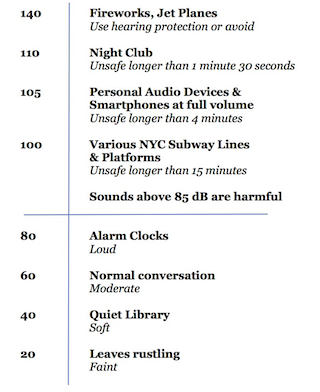 There is a direct correlation to the decibel level and the time exposed to the noise. Lower the volume and limit the daily use of headphones and personal audio devices (smartphones and MP3 players). Wear earplugs and protect your hearing. 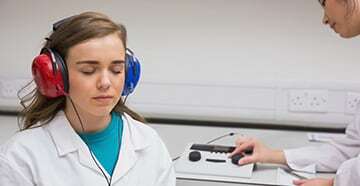 Although effects of noise exposure may not be noticeable immediately the damage is irreversible and 100% preventable. As we live in the era of iTunes and Google Play, it is important to wear the most appropriate headphones to reduce background noise while listening to your smartphone or tablet. Over the Ear headphones will be better at cancelling noise and will be less damaging to the ear. It is suggested to reduce the maximum volume level of your device so that you will be able to listen safely for a longer period of time. Custom fitted earphone will help you hear your conversations more clearly, be more comfortable and are less likely to fall out. Noise cancelling headphones will also help you hear the music more clearly reducing the preferable volume to a lower safer listening level. If you need additional information or assistance in purchasing musicians’ earplugs or recreational headphones consider visiting a hearing professional near you. 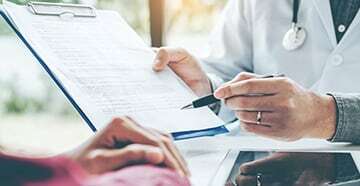 A hearing specialist will be able to evaluate your wants and ensure you find the right product for your specific needs.